1. The Toronto International Film Festival (TIFF) There’s a buzz of excitement in the air when TIFF takes place for the first two weeks of September every year. Whether you’re a film buff or a stargazer, there are plenty of opportunities to spot some of the world’s biggest stars when they touch down to premiere their movies at the world’s second biggest film festival. 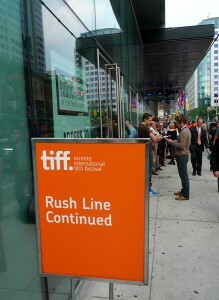 Make sure to check out the TIFF Bell Lightbox, Roy Thompson Hall, and Yorkville for those opportunities. Not only are these spots steps away from your furnished rental, a celebrity could be staying in your building (like our newest location at 300 Front Street West!). Also known as Just for Laughs, this festival now takes place from September 18-27, 2014. Headliners this year include: Seth Myers, Lena Dunham, Amy Schumer, Wanda Sykes, Joe Rogan, and Nick Offerman. There is the option to see one show or multiple shows with a pass. The IFOA celebrates its 35th anniversary of bringing together the world’s best writers of contemporary literature from October 23 to November 2, 2014. 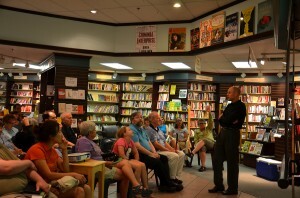 There are a multitude of interviews, lectures, readings, and book signings with your favourite writers. Special events include readings by the finalists of the The Governor General’s Literary Award and Rogers Writers’ Trust Fiction Prize. The event is located at the Harbourfront, just a short distance away from your furnished condo in Toronto. Toronto’s “all-night art thing” is a sure bet for art lovers and urban explorers. Discover interactive contemporary and abstract pieces throughout downtown Toronto. Don’t forget to make a pit-stop at your furnished rental to refuel for a long night out! Hosted at the Exhibition grounds, The Royal Agricultural Winter Fair is the world’s largest indoor agricultural and equestrian competition. Fun for the whole family, pet the animals, feast around the food competitions and check out the entertaining horse and dog shows. November 7-16, 2014. If you are in Toronto for an extended stay, these are just a few of the highlights of the entertaining events happening here. Enjoy the culture in this vibrant metropolis!